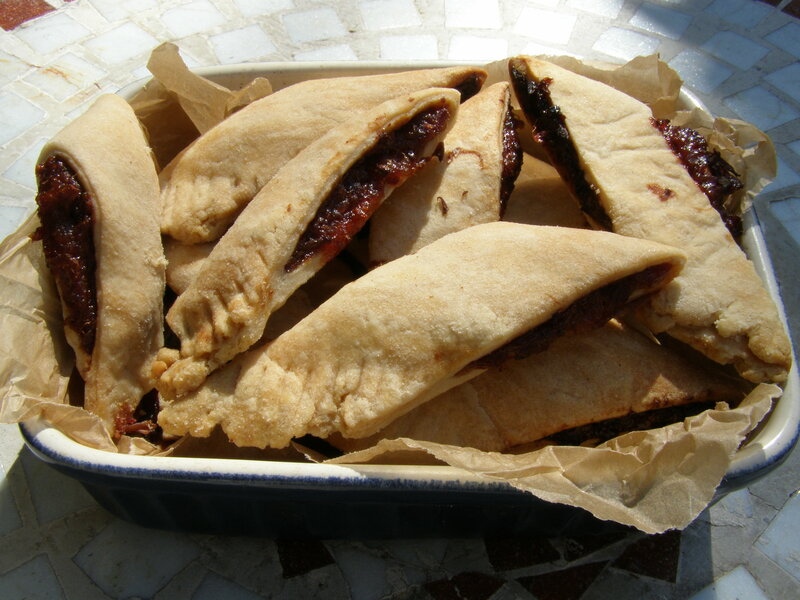 These spiced date parcels from Malta are a real treat! They’re usually deep fried but I’ve devised a healthier oven baked version that the Maltese would call ‘Imqaret il-Forn’. 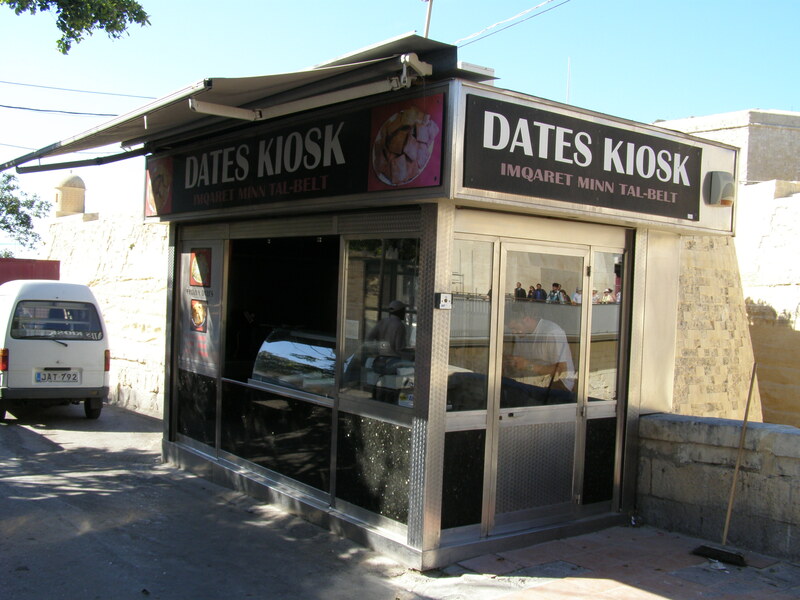 The best ones on the island are from the chromed, bluntly-named ‘Dates Kiosk’ at the Valletta bus terminus and at 30 cents each they’re completely irresistible. I’m not promising mine are as good as these but they come pretty close!! Time consuming they may be but read the tips at the end to make things easier. 2. Form into a ball, cover with cling film and allow to rest in the fridge for about 15 minutes. 1. ** Place the dates in a cold, medium saucepan and add the water and stir in the remaining ingredients for the filling. Bring to the boil for a couple of minutes then reduce heat to medium to simmer for 25-30 minutes. Stir regularly with a wooden spoon, breaking up the dates as you go until you achieve a thick, lumpy paste. 2. Set aside to cool for 15 minutes. Preheat the oven to 200C, set aside a large baking tray and cut a sheet of baking paper to fit. Pour just over 1 tbsp olive oil onto the baking paper, scrunch into a tight ball, unravel and line the baking tray. 2. 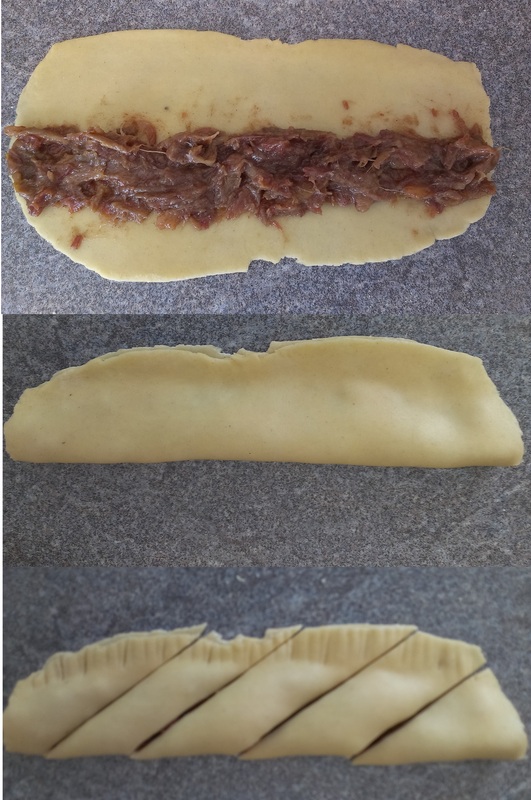 Using a sharp knife cut diagonally at about a 45 degree angle, then place onto a prepared baking tray and gently press each one so the filling oozes out the sides slightly. NOTE: each dough quarter will produce about 5 diamonds, but I always end up with excess dough so the final one may produce about 3. 3. Brush generously with olive oil and place into the preheated oven to cook for 30-35 minutes until golden. They’ll smell amazing when they’re cooking but allow at least 20 minutes to cool as the filling will be really hot!! * You can make the dough hours or a couple of days in advance; simply follow steps 1 and 2, then allow the dough to rest (still wrapped in cling film) on the worktop for 30 minutes. ** You can make the filling in advance. Once cooled store in an airtight container in the fridge for a maximum of 3 days. Warm through to make it easier to spread when forming the imqaret. *** Once cooled pop them into a biscuit tin and they’ll keep for about 5 days. Put onto a microwavable dish and pop into the microwave for 10-15 seconds to warm them up again. Perfect drizzled in honey and served with a scoop of vanilla ice cream. Posted on May 17, 2014 by khewett87	• This entry was posted in Starters Sides and Light Bites. Bookmark the permalink.